Heavy-duty welded steel for maximum strength. 3" diameter casters welded inside frame. 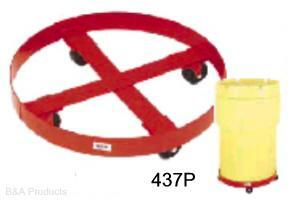 Choice of smooth-bore polyolefin or steel ball bearing casters for 360° maneuverability on almost any surface. Choice of carbon steel with high visibility orange finish or 304 stainless steel.